Britney: Yesterday started out with an amazing devotional time. We talked about Honesty and integrity. Yesterday I worked on separating rocks from a pile of gravel. I had so much fun. Our group was being very creative on ways to have fun. We named rocks and we rolled rocks. I had a lot of fun rolling very large rocks to the pile of rocks. We were making a sledding hill for the students of the Sutton elementary school. 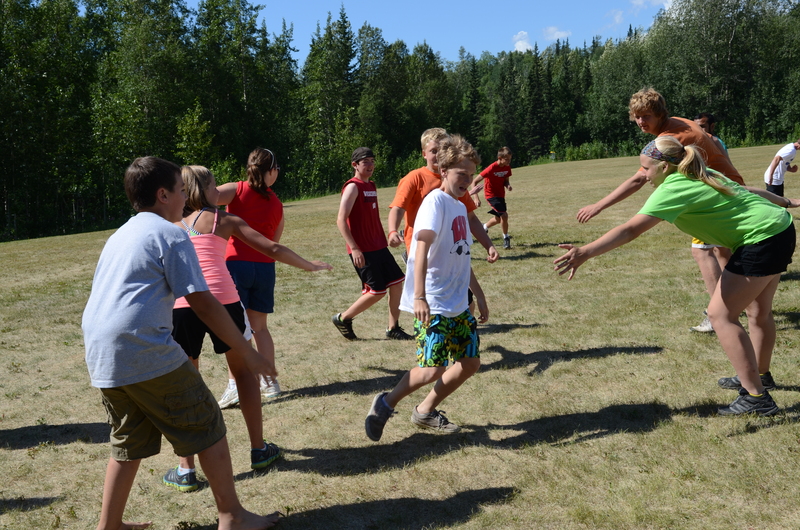 Then we went back to the elementary school to hang out with the middle school students. We did wheel chair races and card games while others played with water balloons. Then we went to a gold mines and saw some pretty amazing buildings and carts. When we got back we had our nightly camp fire where we told god stories and prayed as a group. James: Yesterday we went to Independence Gold Mine and there was a stream where there were rocks with little flecks of “gold” and we went on a trail that went up a mountain to a broken shack. When we were standing in the parking lot of the gold mine, there were crosses we could see on top of the mountains and it was awesome! In the morning when we went to work, we were mowing and trimming at local women’s houses. The women we mowed for gave us cold water and were very nice. Tasha (one of the women) gave us a four leaf clover that she found. When we were mowing at Carol’s house, we had an amazing view of the mountains and a drop off that reminded me of how much God has made. Sam: Last night our group went to a abandoned mine surrounded by some amazing mountains. 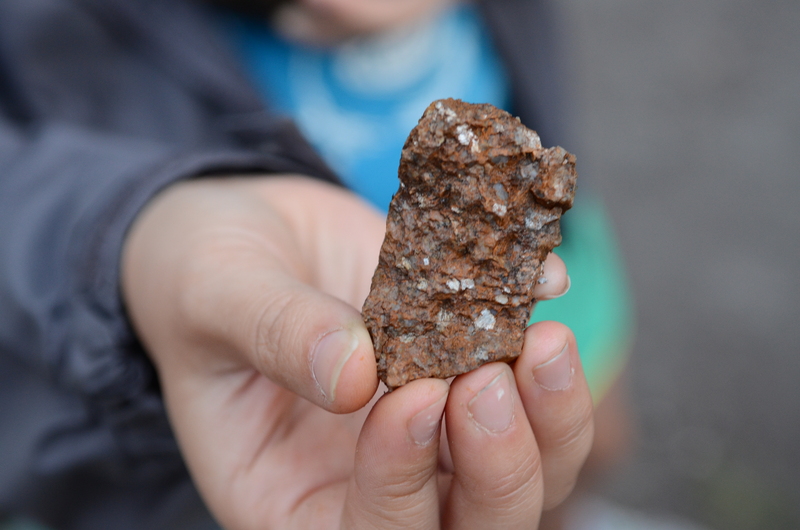 and during our hike we found a little river filled with rocks that had little flakes of gold in them. Personally I think I was the one who was most greedy by taking the most rocks back to camp. I think I saw God so far in the nature of Alaska. The mountains remind me of just how big God is, and the fast flowing rivers remind me of how he washes away our sin. 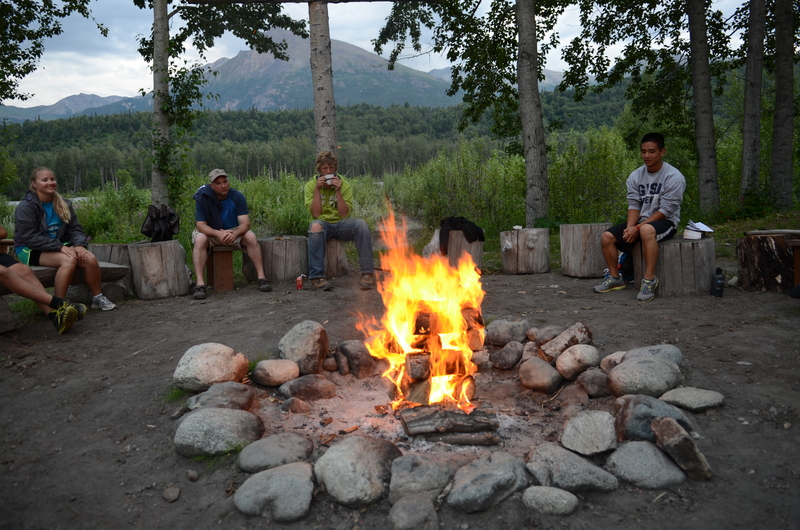 At campfire – can you believe it’s 10:30 PM?! 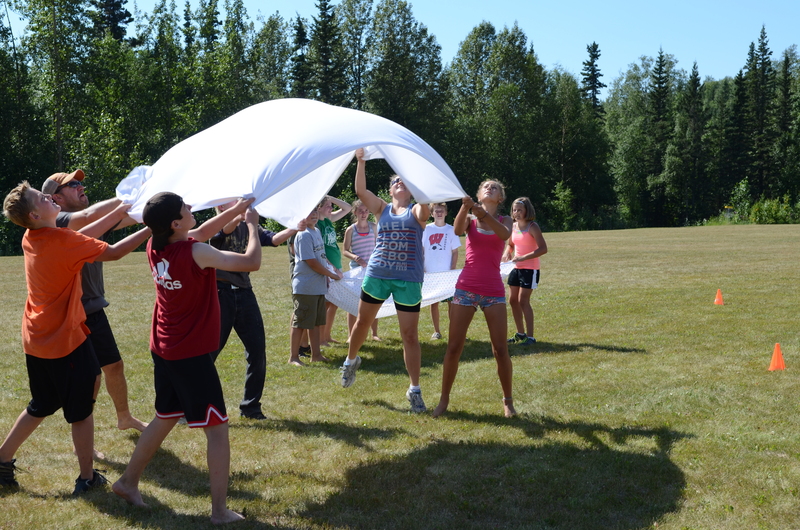 This entry was posted in Uncategorized and tagged Alaska, campfire, gold, prayer, serving, team building by blackhawkgoteams. Bookmark the permalink. You are an amazing group of young people. How blessed you are to be able to do God’s work in such a beautiful place. We pray that you are a blessing to those around you and in turn are blessed by doing God’s work. We love you and look forward to seeing you all when you return. We can’t wait to hear all of the stories. Hey Liz, its Addy. I can tell that you guys are having a lot of fun. The view looks great! Glad you survived the bee sting. It has kind of been strange without you. You are never sleeping on the floor in my room anymore. I miss you so (x20) much! Hope you’re having a blast! Love you!!!!! What awesome photos and even better stories. I love the different ways you are all seeing God in your midst. It sounds like you are all doing an amazing job working hard and serving with humilty. This winter you can think back to your time in Alaska and know that you warmed peoples’ hearts with your kindness and toes with your labor. Awesome! What a bonus that you got to see a moose…and eat one! Someone please give Sam a hug!